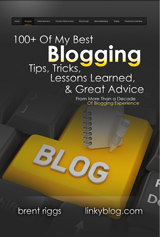 15 Suggestions to Immediately Improve Your Blog Posts! What Is Your Suggestion? Add some graphics. 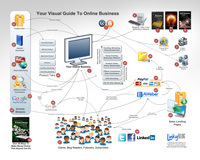 Visually appealing graphics or images (diagrams if they suit the post) will help generate interest from your readers. Using multiple media techniques (text, images, audio, video, etc) mean more people will be engaged in your content. Put a LOT of effort into your headlines. A headline should not be an afterthought; in many instances, it will be the only part of your post someone reads. Make it count. A headline is almost always the reason why someone decides to take time to read your blog. Educate yourself about “viral” posts. Educate yourself on what you need to do to create one. 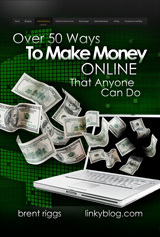 Just one viral post can skyrocket the success of your online business. Call your readers to action. Give them a clear choice of “what to do next”. Make sure you very clearly state the action you are requesting such as leaving a comment, or email you, or clicking a certain link. Make sure your post benefits your readers. Many bloggers write with the obvious priority of using YOU to benefit THEM. Think about how to help your audience, whether by informing, encouraging, educating, or even just amusing them. What comes around goes around… when you serve and help your readers, it will come back around to benefit you. Do not hesitate to tell the world why they should listen to you. Don’t spend a whole blog post bragging on yourself, but make sure to effectively share why you are qualified to earn the time of your readers. People want to know why they should trust your ideas or judgement or advice. It’s building credibility, not boasting. Write, write, and write some more. Ever hear “practice makes perfect”? It is right on. Building writing muscles is exactly like building physical muscles. The more you do it, the better you get, the faster you get. Do not be afraid to share your thoughts. Confident and informed opinions in this day and age of “political correctness” are rare. Let people know what you think and you will stand out as a writer. Be ready to support your opinions with convincing evidence, logic and clear thinking. Organize your content so it can be easily scanned. Many of your readers will just pick up your main points rather than reading every word. If your main points clearly stand out, there is a better chance of people reading them. Use subheads, bullet points and call outs to help the reader “scan” your content. There is no better way to run off visitors than dumping a truck load of verbiage on them with no clue as to its content, only to have the reader feel like they wasted their time. Share some stories. Recounting interesting events from your past is a good way to connect with your audience. Use stories to encourage and to teach. Stories help people relate to you, visualize your ideas and more effectively “burn” your words into their long term thinking. Review your old content and see which items were the most successful. Re-use the successful stuff until it stops yielding results. Consider taking an especially successful blog post and writing a series of posts on the same topic expanding on it. Be brief. Before you hit “publish,” go through your post and remove anything that does not benefit your post. Weed out unnecessary words and try to streamline your writing as much as possible. Your readers will appreciate that you value their time by not asking them to read ten paragraphs when only two paragraphs would have accomplished the same. TIP: Twitter is a great way to learn to “write lean”. Chopping out unnecessary words, cutting out the fluff, using one word instead of four to convey the same idea… concise writing is successful writing. Find someone exciting and interview them. Your readers will enjoy it and chances are the person you interview will share your materials with their fans as well. Show your enthusiasm. If you are passionate about your writing, it will show through to your readers (who might in turn catch some of it!) If YOU aren’t excited about your content, how can you expect your readers to be? 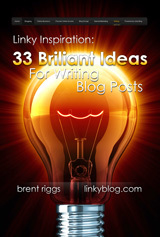 There’s 15 ideas that will immediately improve your blog and your post writing. What ideas do you have? Here’s your opportunity to get a quick mini-guest-post with a byline and link back to your blog in front of the many tens of thousands of the Linky audience (blogs and sites). I will compile responses into another blog post. We all get some additional great content and ideas, and you get your name and link out to thousands of people. How’s that for audience engagement? Do not submit your mini-blog-post into the comments section… email me at brent@brentriggs.com. Yes, you can send multiple entries and link them to the same blog or to different blogs and different bylines. Hey, Linky Blog just went over FIVE THOUSAND email subscribers… that doesn’t include casual readers, followers and RSS subscribers… that just the email subscriber list. That’s a great milestone for the blog and puts Linky Blog in the top tier of marketing and online business blogs! THANK YOU!! !